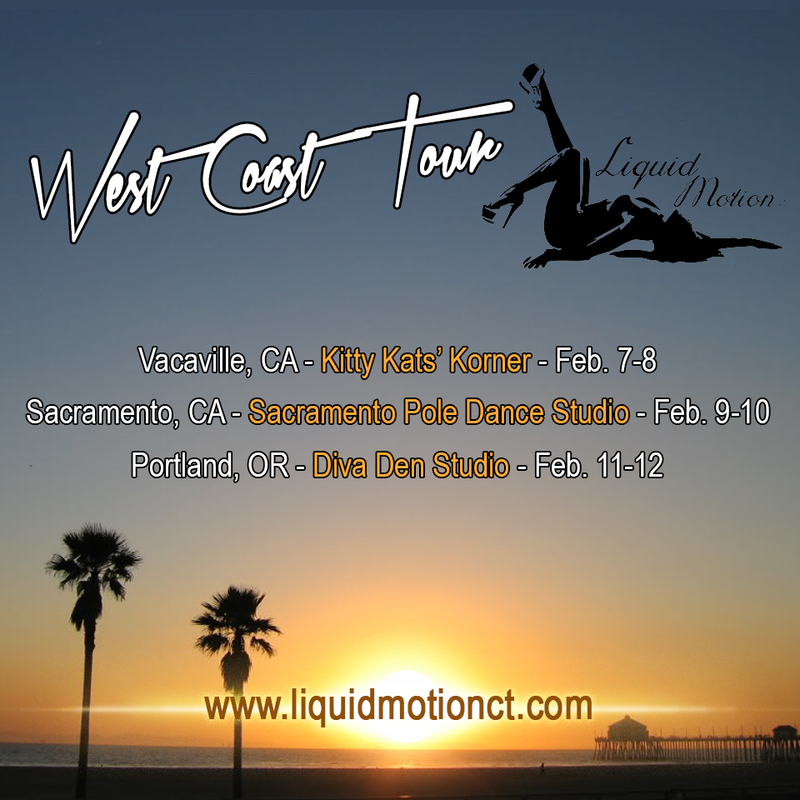 Home Uncategorized Liquid Motion’s West Coast Tour Around the Corner! Join Danielle Mayzes in Vacaville, California, Sacramento, California or Portland, Oregon during her West Coast Tour! Danielle will be hosting 11 workshops throughout 7 days, teaching Liquid 1, Liquid 2 and Liquid's newest workshop, Five For Floor! The tour starts on February 7th in Vacaville, California at Kitty Kats' Korner. Take a look at the full schedule below and click on a city to learn more info! Want to take a private with Danielle? Live in the Portland area? Danielle is available on February 10th for privates, semi-privates or 3 person privates!